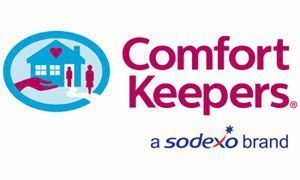 Comfort Keepers ® The Heart of Comforting In-Home Care Nothing is more important than helping people to live independent and dignified lives within the comfort of their own homes. Comfort Keepers is dedicated to providing the kind of non-medical in-home care that helps to enrich lives and maintain the highest possible level of independent living for our clients. We offer a wide range of in-home services tailored to meet the unique needs of each individual client we serve. Whether services are needed for a few hours a week or more extensively, we work closely with your family to customize a program that provides a perfect balance of services and value. At Comfort Keepers, we recognize the importance of trust and compassion. That is why each and every person who provides care is carefully screened, qualified, and trained to ensure the best possible level of services. Our entire in-home staff are bonded, insured and covered by Workers’ Compensation.